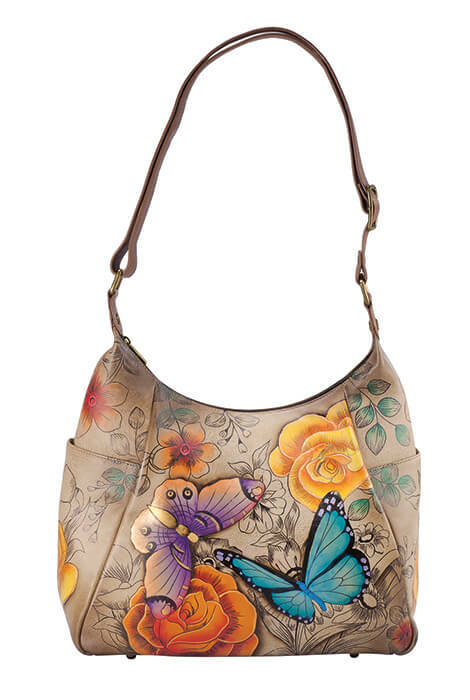 Anna by Anuschka™ Handpainted Leather Hobo Bag is fully lined with interior pockets and 4 outside pockets. 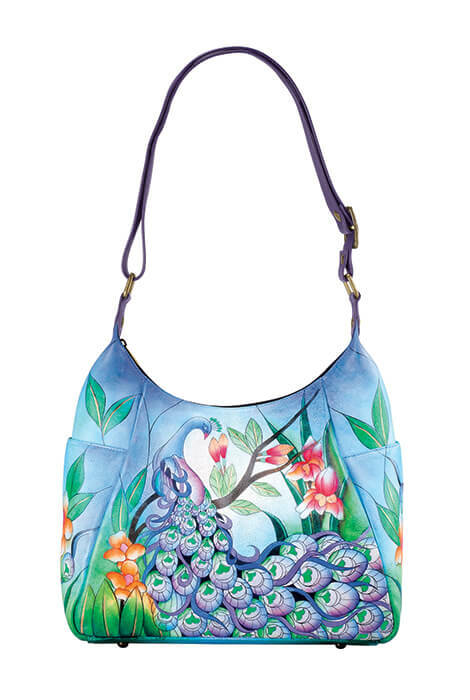 14” drop shoulder straps. Leather bag measures 12 1/2” wide x 11” high x 5 1/2” deep. Turquoise, Tan. Spot clean. Imported. I like the pocket books from this company.